Styx guitarist, although back in 1984 it was former, Tommy Shaw’s first solo album is yet another reason why I don’t let one song influence me when I buy an album. It was the opening title track that was played by radio and while “Girls With Guns” is a decent song, it on its own, wouldn’t have been enough for me to buy the album. What influenced me to buy it was the songs Tommy wrote whilst he was in his former band. Did my logic work out? My answer is yes. 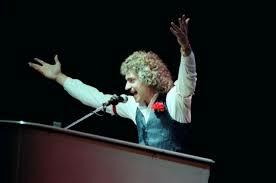 It’s true that the opener, title track and first single was always intended to sound more 80s synth but I did like it. It doesn’t really matter because each track after offers up something new each time. The very next track, “Come In and Explain” is very much heavy rock and Tommy does open up with his guitar on that one. 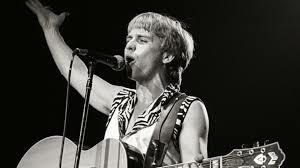 Following that, he attempts a ballad with “Lonely School.” Now, I don’t want to knock his voice because Tommy Shaw can sing and it’s not a bad song but I don’t think that voice is made for ballads, at least on this song. Just my thoughts that’s all. However, he does go into more familiar territory with “Heads Up.” This sounds like his days with Styx and there is good harmonizing in the vocals. Plus, there’s the added bonus of him laying down a particularly cool guitar solo, so full marks here. Pure speculation here but maybe he realized he wasn’t up for singing ballads because while “Kiss Me Hello” is a ballad, there is much more harmonizing on it and therefore a big improvement. Additionally, I have to give full marks to Peter Wood here because he does a marvelous job on the keyboards on this one. Tommy does end the song with a little guitar solo so full marks all around, actually. “Fading Away” has a very progressive rock intro and then goes to a reggae sound. Now Tommy Shaw is no Bob Marley but his voice sounds okay on it. He does fuse more progressive rock into the song and the mix sounds okay. “Little Girl World” has a catchy feel good factor about it. It’s one of those songs you would play at a celebration or something and has some more good keyboard work from Wood. But there’s some hard guitars that do manifest themselves out of the background. A similar thing can be said for “Outside in the Rain” but the guitars are more noticeable, especially with one of Shaw’s solos on it. He is also accompanied by one Carol Kenyon on the vocals. “Free to Love You” is the love child between 1980s synth and traditional Styx. Elements of both permeate the album without either establishing dominance and with another cool guitar solo, Tommy blends them well. The closer, “The Race is On” is a decent progressive rock song with saxophones on it. Nicely done in a way that closes the album out on a good note. 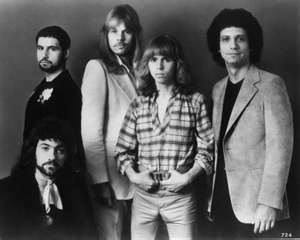 Tommy Shaw followed Dennis De Young in releasing a solo album after Styx. While he’s not afraid to stretch out a bit on the album, he does remember that his guitar work is his main weapon as it was for Styx. 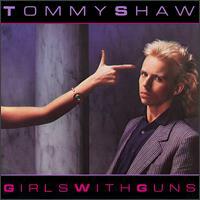 However, he does have good keyboards player in Peter Wood and that helps to make “Girls With Guns” the winner here. 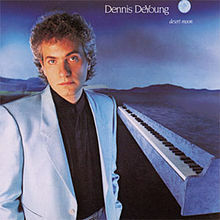 If I were to compare it to Dennis’s album.